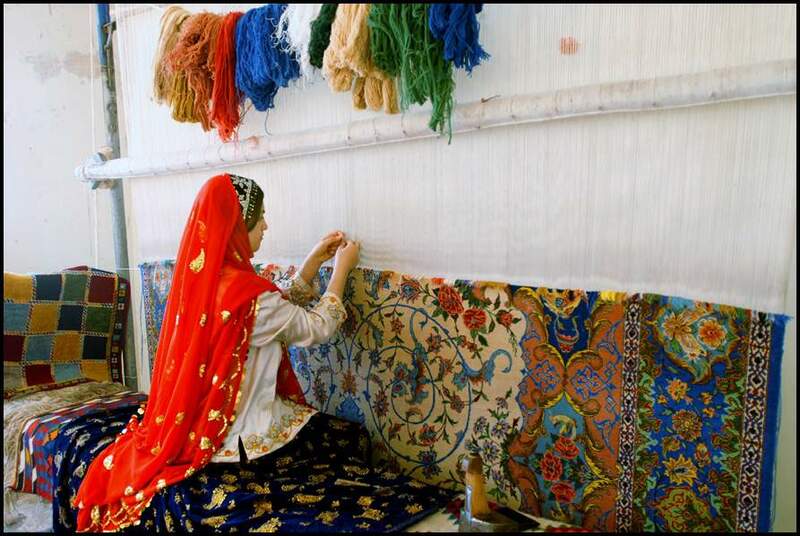 My ultimate ambition is to establish a centralized village where hand-woven carpets are made, says the Iranian entrepreneur. Fariba Nirumand is a 50-year-old retired teacher who set up a carpet workshop in western Iran two years ago to offer courses on carpet-weaving and embroidery by hand and machine. Carpet-weaving is an art which well suits women. Plus, its versatile nature allows anyone to make money anywhere he/she wants by just rigging up a loom. Since I opened my workshop, there have been some university students who have expressed interest in working for me. Over the past two years, I have hired 10 men too. A culture that promotes carpet-weaving must be fostered, though, because the art is fading into oblivion. The youth consider it below their dignity to sit behind a loom. The reluctance comes despite the fact that weaving a carpet is entirely different from other jobs. Carpet is like a living creature whose designs can talk; in fact, they communicate with the carpet-weaver, injecting energy into him/her. If women want to secure self-belief to make their presence felt in society, they should land a job. The money women who work in my workshop earn has a positive impact on their lives. It also contributes to promotion of their mental stamina for presence in society. As part of efforts to cultivate a friendly and relaxed atmosphere, people in my workshop make carpets while listening to music. There are also women on my payroll who weave carpets at home. In fact, carpets act like a savior and the job is flexible in nature so it can be done at home. I avoid repeated designs. In order to introduce innovation into our carpets, I take snapshots of natural scenery. Then I hand the images to a designer. In fact, such innovative designs give us a competitive edge over our rivals. As for export markets, our framed carpets are popular with Turkish importers who prefer carpets with a toranj motif and a single color. Silk carpets sell like hot cakes, too. We make carpets our customers place order for; that is a fundamental business principle of today’s market. 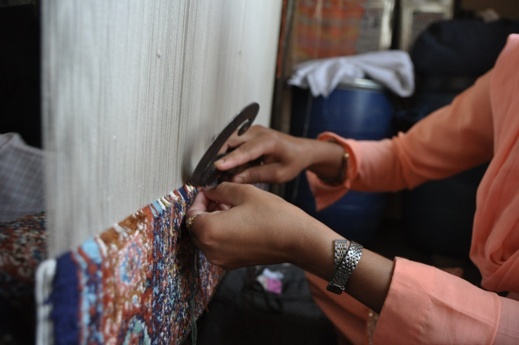 Carpet-making is both an art and an industry. Its production is not confined to weaving; rather, it encompasses provision of raw materials, dyeing and carpet repair which complete the production cycle. My ultimate ambition is to establish a centralized village where hand-woven carpets are made. I also seek to fulfill another aspiration of mine which is to turn my hometown, Qorveh, into the world’s capital of hand-woven carpets.